Burning more calories can be achieved by reducing the calories you eat, by engaging yourself in strenuous and high-intensity cardiovascular exercise or combining both of these ways. On the other hand, you can build your muscles with systematic, daily and hard weight lifting training. Remember, that what you are looking to achieve is to get rid of your excess body fat so that you show your lean, toned and muscular body underneath. Cardio vascular exercises will burn your calories and help you to lose your fat. The rule is very straightforward: lose fat and not muscles. If your cardiovascular workout goes for a limited time period and with very little intensity, then you will not burn the fat you want. 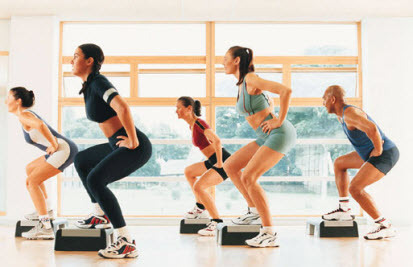 On the other hand, if your cardio lasts too much time and goes with high intensity, then you will burn muscle as well. Ideally, you should do high intensity cardiovascular exercise for a certain period of time, such as 20-30min. You can determine how vigorously you train by measuring your heart rate. Make sure that you have a heart rate of 60-70% of the maximum as this will ensure that you burn your fat but you keep your muscles. For this reason the ultimate and most effective calorie-burning and fat-losing cardio exercise is the HIIT, Tabata Training and CrossFit Training. All these three cardio exercises are very hard to do, but they are also the most effective to make your body lean and toned. Actually, there are ways to burn calories without stepping foot in the gym. Make a good diet that will include the right proportion of complex carbs, high protein and low fat foods. High protein – low-fat. 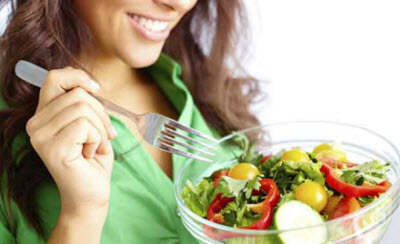 Start eating several small meals per day, between 5 and 7. The meals should be between 2-3 hours one from the other and they must contain protein in it. Remember that you need to give fuel in your muscles and to revive and increase your metabolism. Eat foods high in vital nutrients, rich in lean proteins, high in complex carbohydrates and essential fatty acids so that your body functions properly. Small meals are necessary as they are ideal to keep you strong and feeling healthy until your next meal. Do not skip meals. Skipping meals means that your metabolism slows down and thus you will not burn calories as effectively and quickly as you want. What will activate and increase your metabolism is to consume small an regular meals. Excellent sources of protein are chicken, fish, turkey, tofu and lean beef. For the essential fatty acids, you should go for olive oil, olives, seeds, avocados and nuts. High-quality complex carbs are found in the fresh fruits, vegetables, brown rice and grains. Fruits and vegetables have high amount of fiber that keep the fat off your body and they guarantee that you metabolism is working and even increasing. Actually, there are strong reasons to start strength training. Weight training is an exceptional exercise as it bumps up your metabolism for the next 24 – 36 hours. As you train with weights four to five times a week you build your muscle mass and your increase your tone. Keep in mind that the most important feature of your training must be the intensity of your workout. Regardless of the muscle group you train, even if you exercise your hands or fingers you must perform hard and strenuous resistance. You really have to push your muscles, your heart even your mind to their limits in order to see considerable results on your body. 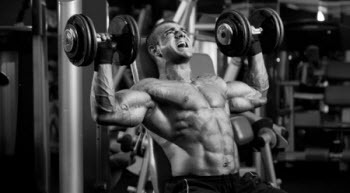 You must feel slightly queasy after you have finished your hamstrings or quadriceps training or must breathe really hard after you have finished working out your deltoids. "Find out more for the up-to-date muscle and strength promo codes".